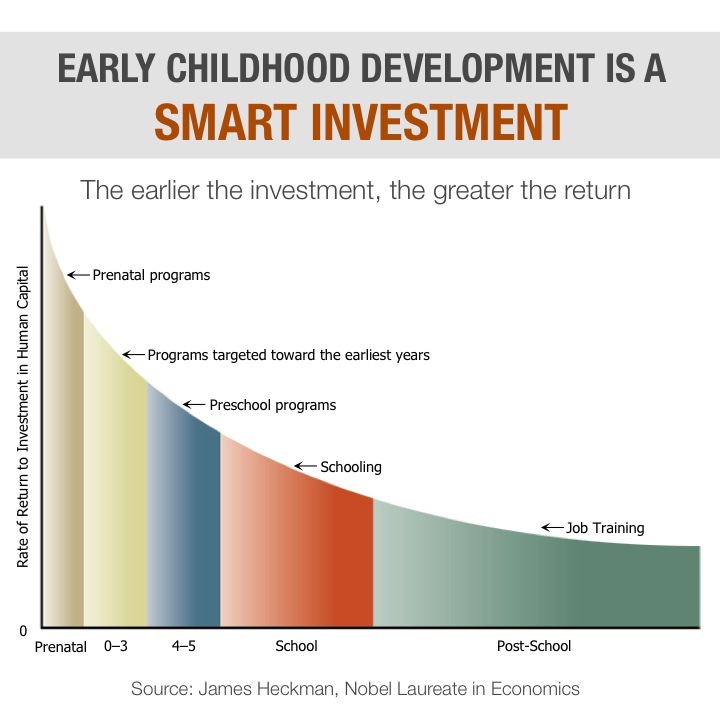 This graphic shows that the highest rate of economic returns comes from the earliest investments in children, providing an eye-opening understanding that society invests too much money on later development when it is often too late to provide great value. It shows the economic benefits of investing early and building skill upon skill to provide greater success to more children and greater productivity and reduce social spending for society. This graphic is formatted for use on social media and insertion into presentations, handouts and press releases.